I became a nutritionist because I wanted to change the way people ate, their relationship with food, and to help empower them to take back control over their health. After I graduated from university I spent 2 years working at a 20,000 sq. foot fitness facility with upper middle-class folks who had the means to buy organic, be active, stress less and enjoy life. Yet the majority of those people battled weight issues, self-esteem issues and yo-yo dieted in an effort to look and FEEL better, happier and healthier. I created WOW! Weight Loss out of sheer desperation because I needed a fat loss solution to give to these people that included real food, wine, and chocolate. When my daughter was 6 months old I had to go back to work 3 nights per week. I had a business to run and we needed the money. When I had my daughter something changed. I no longer wanted to or was able to work nights and weekends. Back in 2008, I had no idea about offering online programs. So I struggled through her early years. Juggling my work schedule and having to make sure there was a babysitter, my parents or my husband around to help. After I had my son in 2011 I made a decision that I would find another way to live my life. I still didn’t know what online marketing was but I knew about webinars. I ran my first online program (without knowing what I was doing or that I was even running an “online program”) with about 40 students. 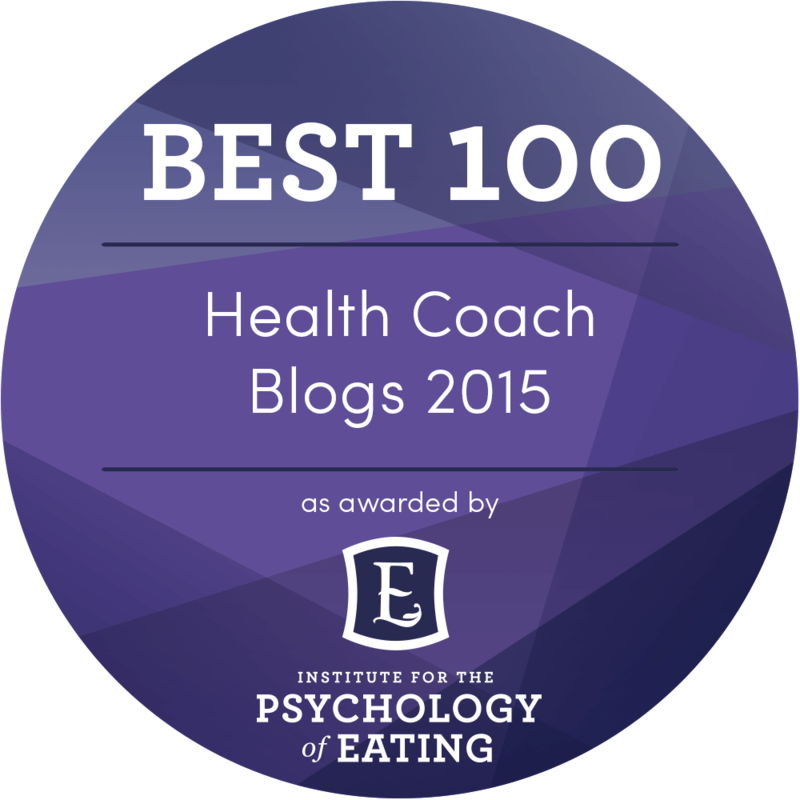 I taught them how to run their own holistically centered weight loss program. My life changed in June 2011. Your life can change too. 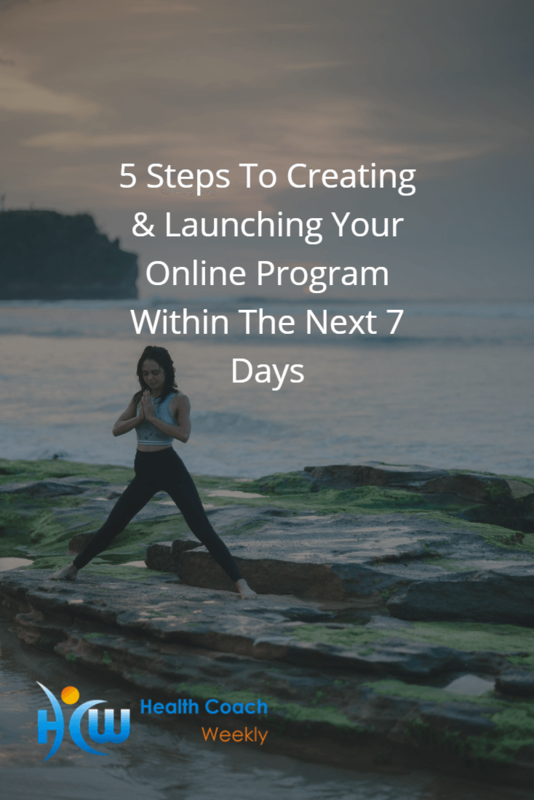 Here I have listed the steps so you can create your first online program and launch it within the next 7 days. It’s safe to say that some of your success online depends on having a steady stream of people viewing your offer (your program). The trick is to match your offer to your perfect target market. It doesn’t matter that you have 2000 LIKES on your Facebook page. Are those 2000 people interested in what you have to offer and engaged with you enough to buy? Ryan Diess says that there are no traffic problems, just offer problems. I have to agree. There are enough people in this world to pitch your program to… whether they buy is a whole other story. Match your offer to your market. At this point, I’m assuming you know what this is. Most people spend 3 months creating the perfect lead magnet and then promote it once and never again. Then complain that they can’t grow their email list. You should be able to create your lead magnet (valuable free opt-in offer) within 24 hours. Pull together some of your existing content and package it into a guide, report or checklist. Don’t make this mistake: Your lead magnet has to tie into your program offer. The lead magnet should be an introduction to you, what you are offering and provide the reader with quick results. For example – We used a 48-Hour Green Smoothie Challenge lead magnet to sell our 14-Day Eat Real Food Cleanse. People who are interested in green smoothies value cleansing, detoxification, and clean eating. We attract our ideal customers through our lead magnet. The purpose of the lead magnet is to set up the sale through getting the reader to know, like and trust you. You’ve gotten then some quick results and now they want more. TIP: Avoid the instinct to overwhelm and overeducate in your lead magnet. Focus on one change, one topic and one action. Break down the steps into easy to implement actions. Your landing page/squeeze page/opt-in page is where you send interested traffic to opt-in by giving you their email in exchange for the free valuable lead magnet you’ve created. Use Leadpages to create all of your online program pages. There is nothing else out there that’s as easy to use and serves multiple purposes. 1.The benefit-rich headline detailing what your lead magnet is. 2.Two to three benefits that address the reader’s pain points. 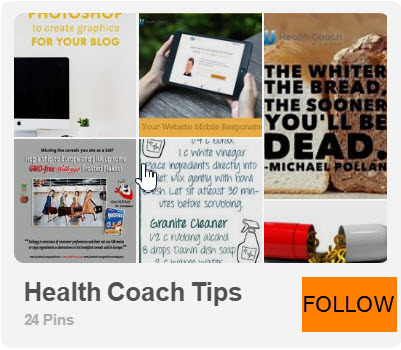 3.A nice crisp glossy image of your lead magnet. 4.The call to action where you ask people to opt in. No need to overcomplicate it or provide too many details. Before you attempt to write the copy for your lead magnet spend some time writing down a list of your ideal client’s pain points, problems or complaints. Pick 2 or 3 of those problems your lead magnet solves and those become your bullet points. When you are writing the benefit bullets explaining the value of the lead magnet relate it back to solving the reader’s problem instead of advertising the features. For example – instead of having the bullet read 7-Day Meal Plan create a solution to the annoying problem of having to meal plan in the first place. 7-day done-for-you meal plan so you don’t have to stress over planning your own meals. Identify the strategic stress-fighting foods that help to calm you down at night so you can enjoy a rejuvenating night’s sleep. Your lead magnet bullet points should solve problems. So now the lead has opted in and has received your value packed lead magnet (free opt-in offer). Now what? This is where you create several emails that convert the prospect into a paying customer by educating them, providing value and demonstrating your program’s ability to help them. These emails are rolled out through the autoresponder feature in your email marketing platform. The purpose of these emails is to get the prospect to KLT you and to motivate them to buy your program. Before you starting writing the content for your sales page write out 10-15 headlines that attract your ideal clients to your offer. The headline is the very first thing prospects see when they land on your page. If the headline doesn’t speak to them and get their attention then you’ve lost them. If you are having trouble thinking of headlines look at a bunch of magazines that serve your same target market. Look at article titles or Google search the topic and see what blog posts pop up. This is a good article outlining the steps to writing good headlines. After you’ve spent time writing 10-15 headlines, next it’s time to write the sales page. Read this article from Copyblogger on how to create a sales page. If you are just starting out online and don’t have a shopping cart or merchant account you can use Paypal as your means to collect money. You can create a product button in Paypal and add that code to the appropriate spot on your Leadpage sales page. There is no need to invest in a shopping cart or merchant account at the beginning. The goal is to get you online within 7 days. NOTE: When you use Paypal as your shopping cart and merchant there is an extra step that’s involved. Watch this video to learn the extra step involved. The other option is to put your program for sale on Clickbank. How does my new customer get the program I’m selling? Good question. If you decide to use Paypal and haven’t watched the video shown above, watch it now. There is an extra step involved in the set up for new customers. There are two ways to deliver the actual content of the program. In option one – the thank you/download page the customer completes the checkout process and is automatically redirected to a Thank You Page. The download links for your program are located right on the Thank You Page. This way the customer can have instant access to the content right after completing the purchase without having to check their email. The downside to this is that sometimes people miss the thank you/download page. They complete the purchase and then click away to another web page. To avoid this problem include option two – the immediate response email where you also place the download links. This way you are covered in case the new customer misses the download page. The open rate on the immediate response email will be high since customers are looking for their newly purchased content. This is your chance to ask your new customers to take action on something… maybe LIKE your Facebook page or subscribe to your YouTube channel. Take advantage of their excitement and include a strong CTA (call to action) in the immediate response/download email. Since you have the ability to schedule pre-written emails use this feature to craft a post purchase follow up email. Schedule it for 7 to 10 days post purchase and use it to follow up and offer your support. This might be done in the way of an upsell to private coaching or just a simple check in asking how they are doing. If you are looking for your new customer to respond then ask a specific follow-up question and tell them to respond. For example – How did you enjoy the breakfasts on days 1 and 3? Hit reply and let me know your favorite breakfast choice. Your new customers are looking for support, motivation, and encouragement. Reach out to them and engage them. 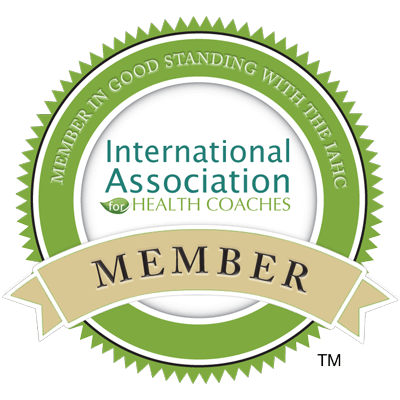 Are you interested in creating, launching and filling your online group coaching program? 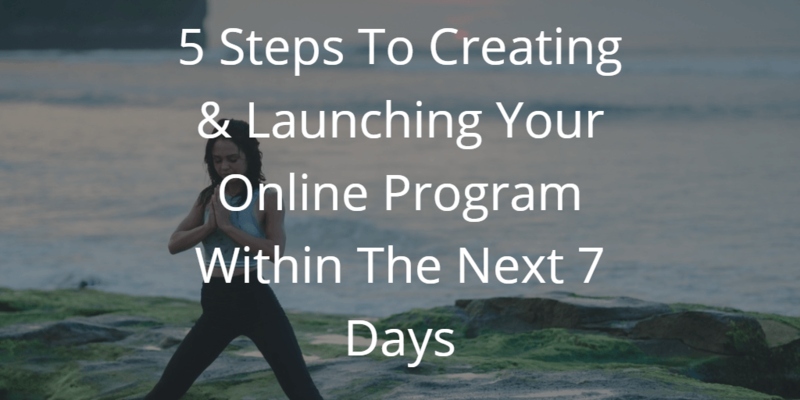 The Simple 7 Step Formula: Launch & FILL Your Online Group Coaching Program In Less Than 90 Days. Saturday is the last LIVE webinar date. Even if you can’t make it live but want access to the replay you’ll need to save your spot now. Lori Kennedy RHN is the founder and CEO of WOW! Weight Loss Inc., an international whole foods based weight loss company. 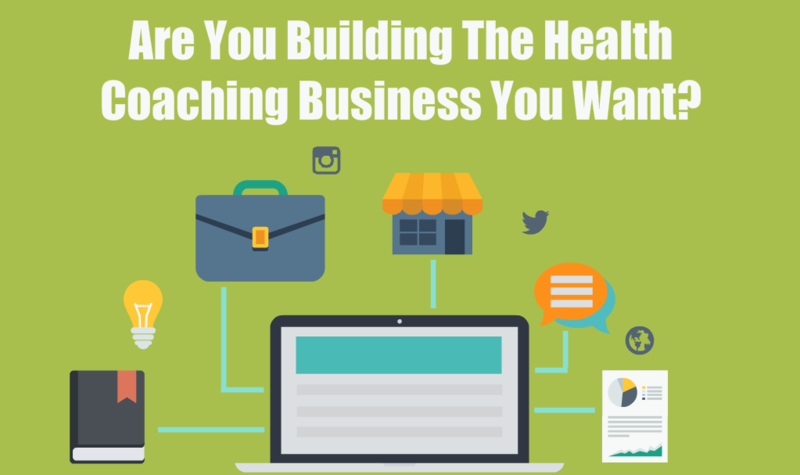 Lori's passions are whole foods, fat loss and anything to do with marketing and helping other health practitioners add some business to their passion. Visit www.lorikennedyrhn.com for free business building resources. Thanks for this incredible guide to marketing an on demand online program! I find the headline writing particularly difficult, so I will be using those resources for sure! The other half of a successful online course, in addition to marketing it well, is the curriculum design. Maximizing the use of good teaching principles in online courses will lead to better outcomes for students. Better outcomes means more completions, more engagement, deeper learning and a transformative educational experience. And a more successful business. I have heard from so many coaches that their launch was successful from a financial perspective, but the course itself didn’t land very well. Or they are just not sure if they are having the impact they want for their students. Or that they get very little interaction with their students. Usually, they followed the experts’ advice on marketing but had no input on curriculum design of online learning. Put the two of those together and you get amazing learning AND financial success.